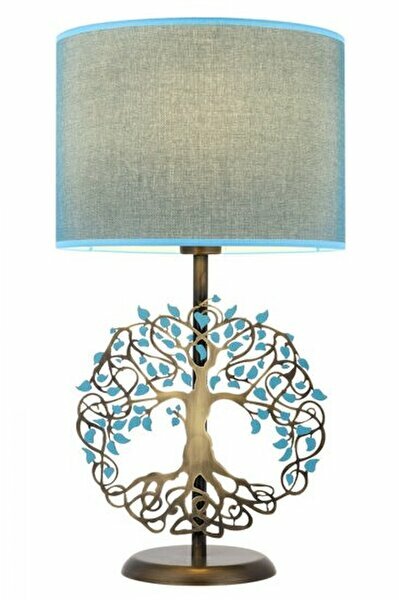 Beautifully designed Avonni table lamps perfectly blend with interiors arranged in different styles. The material of the lamp is metal and coating type is plated. Color: Vintage Blue & White , Height: 54 cm Length: 30 cm Width: 30 cm, Recommended Bulb Type: E27 x 1 Max. 60 Watt (Not Included in Package) Started in Turkey, 1981 Avonni continue to produce wonderfully designed, high quality lighting products. As of today, Avonni items are being sold in 20 different countries.